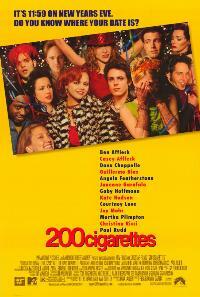 In a post to the JMDL, Ron in South Africa mentioned a scene in this movie during which one of the characters whines to his female friend about his love life and then makes a comment that's something like, "You finally commit yourself to live with someone and a month later you're eating macrobiotic food and listening to Joni Mitchell." If you can supply us with the exact quote, please send it along. "It's inevitable, ya know? 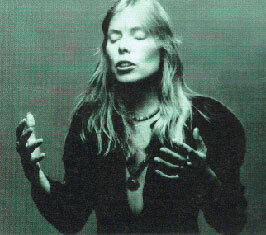 You let somebody move in with you, you make all these little compromises to smooth things along and the next thing you know, you're on some macrobiotic diet and you're listening to Joni Mitchell."